We’ve rounded up three tasty treats that will be delicious and decorative at your Halloween party this year. 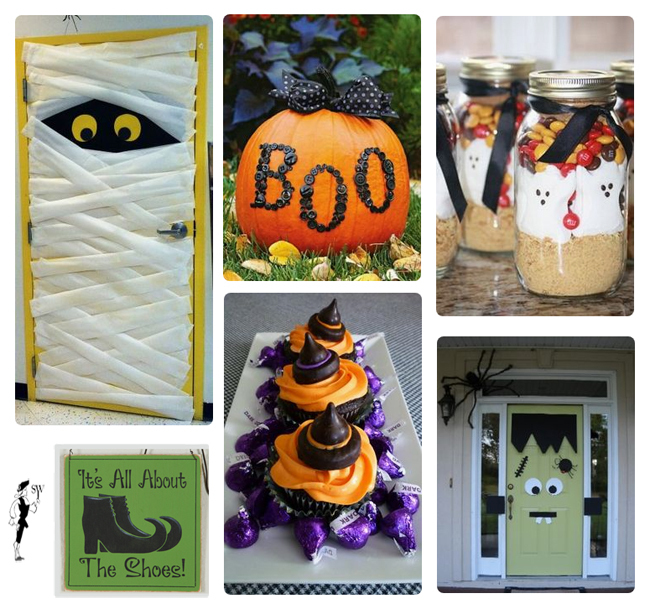 Share your spooky, cute and sweet ideas in the comments below! 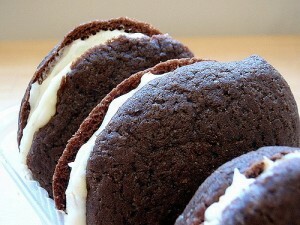 Bring the colors of All Hallow’s Eve to your dessert table with this recipe, or add food coloring to our whoopie pie recipe. These cute cupcakes are simple to make, and you can even try out our vanilla-almond buttercream frosting on the top! 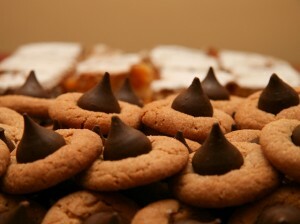 A twist on the classic peanut butter blossom cookies, this cookie recipe is charming and spooky. Gather around guys and ghouls, for the witching hour is nigh. We here at Sturbridge Yankee Workshop cast a spell inviting you to pick your poison from own collection of to die for harvest and Halloween décor. With a wide selection of spook-tacular seasonal decorative accents available, of corpse your Halloween gathering will be the best treat this year. Let’s take a look at what we have to offer for your next ghoulish gala. 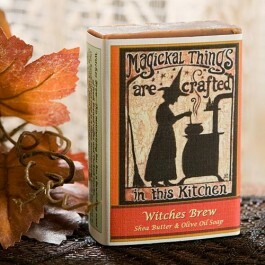 Looking for additional ways to brew up fright in your home? 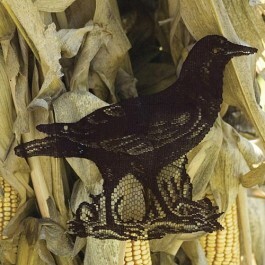 There are many simple ways to make the change to Halloween throughout each room. 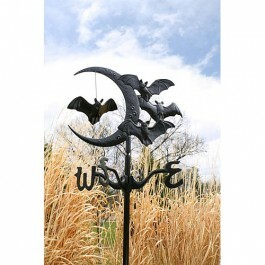 Witch Wreath Holder displays your favorite seasonal wreath to greet guests as they arrive as Bat Weather Vane alerts folks to the whims of the wind. 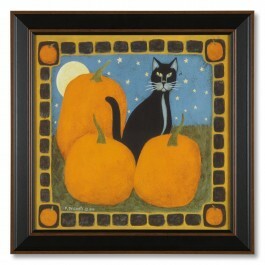 Harvest Cat Framed Print offers primitive folk art appeal on any wall, and can be easily dressed up with spider webs on Halloween night. 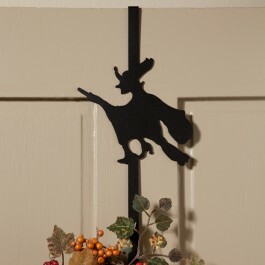 Create a grand first impression by adding festive Halloween accents into every nook of your home. 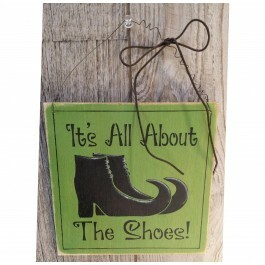 From Lace Crow Accents to affix to your drapes, windows or any wall space to nostalgic humorous signs like All About the Shoes Sign to the little details on Witches Brew Bar Soap, your Halloween guests are sure to be pleased by the decorative accents your have placed throughout your home all in the spooky theme of All Hallows Eve. 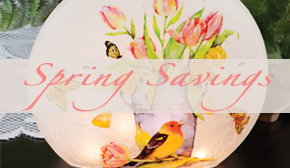 You can easily light the way for your petrified party goers with the warm glow of lights inside your home, on the porch or even in every window. Choose colored tealights to fit with your theme like mustard Wax Coated Tealights, offering a muted golden yellow hue for display throughout the harvest season. Even the most startled soul will find comfort in the luminosity of festive lights. 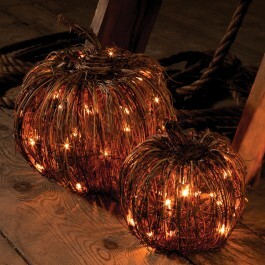 Grapevine Pumpkin Lights can be used indoors or out, featuring tiny white lights inside grapevine pumpkins with wire frames to keep their shape. Long cords allow for connecting these gourds together. Once the witches and warlocks have all entered into the inner sanctum through the creaking doors, gather around the dining room table to taste the treats showcased in Pumpkin Gourd Candy Dish. 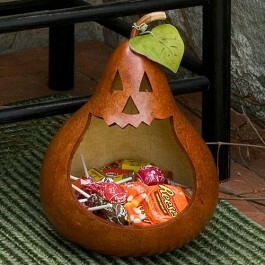 Dare little ones to reach inside the gaping mouth to retrieve their favorite treats. 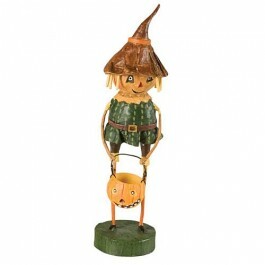 The body of these candy dishes are created from USA grown, naturally dried gourds that are hand painted and carved to resemble these spook-tacular Halloween guests. The great thing about Halloween decorating is that you can make it spooky or whimsical. 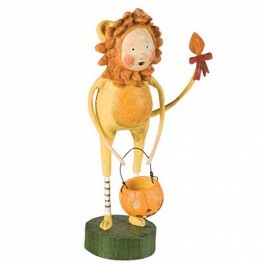 If you have small trick-or-treaters coming over to enjoy the festivities, decorate with little sculpture characters like Wicked Witch, the Cowardly Lion or Scarecrow. Destined to become favorite accents around your home all year. 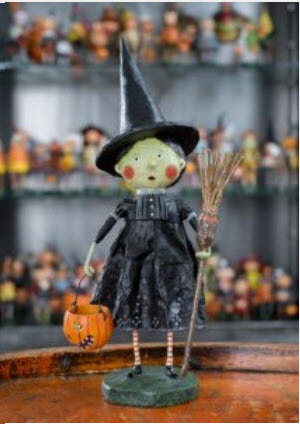 These adorable Lori Mitchell sculptures are versatile enough to use for Halloween or for giving as a gift to any fan of The Wizard of Oz.